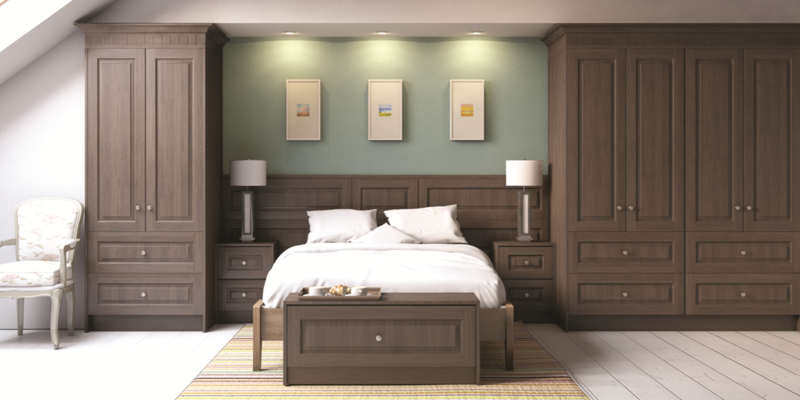 Your bedroom is a personal and intimate space. 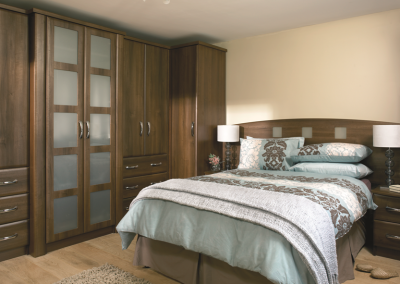 That is why we design your bedroom furniture to your exact specifications. 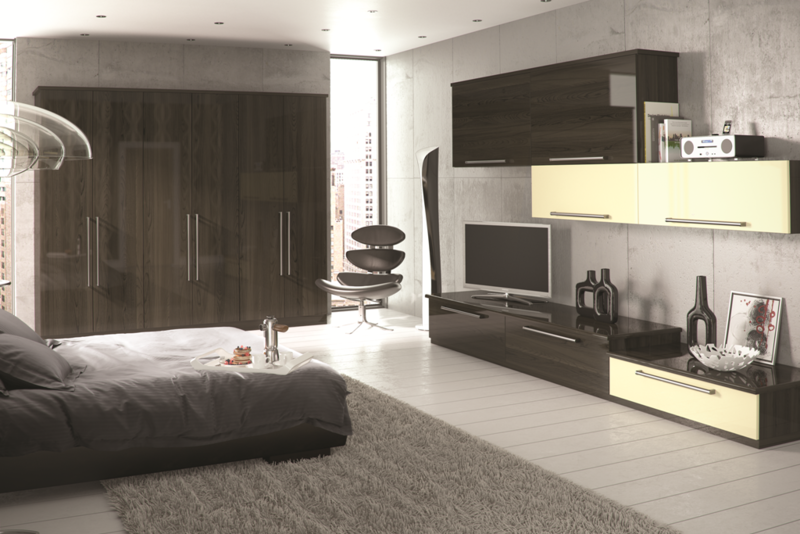 From clever storage solutions, to built in subtle lighting whatever it takes to create your dream. 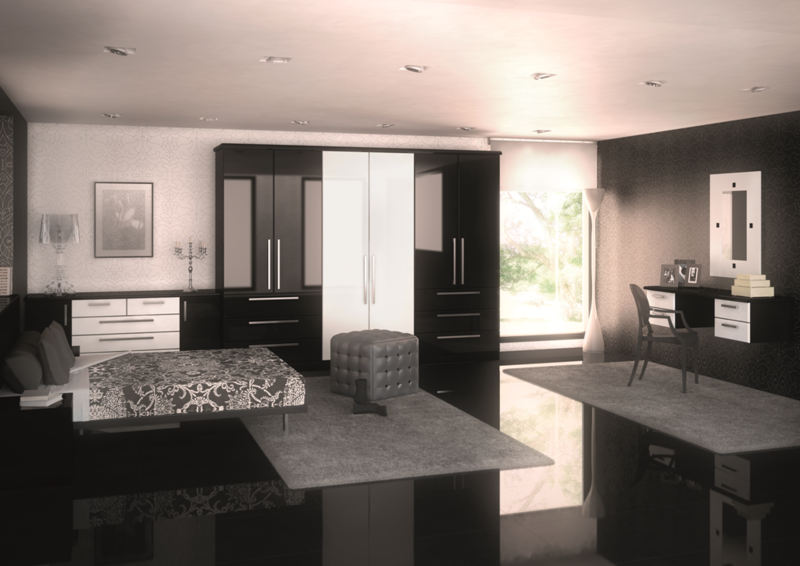 At Kenneth installations we can create the perfect environment. 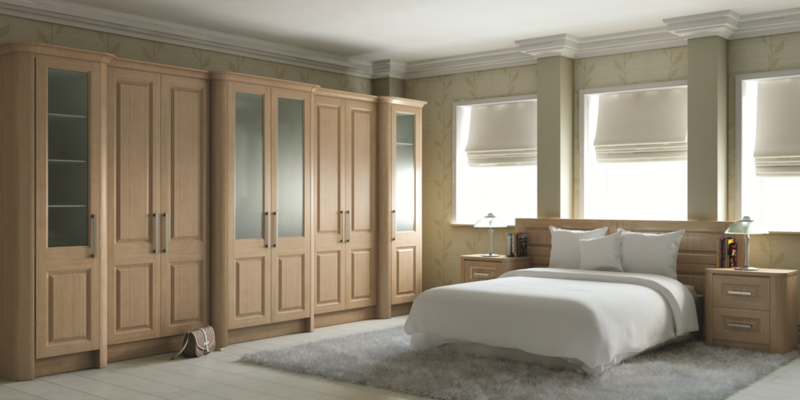 From traditional to modern, our manufactured bedrooms are available in a wide range of finishes to satisfy your every desire. 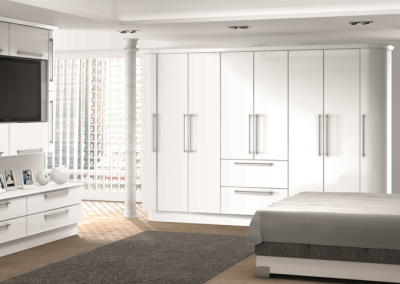 From clever storage detail, to chrome plinths and brushed steel door handles, we have the finishing you require to make your bedroom into the most stylish and tranquil loved room in your home. 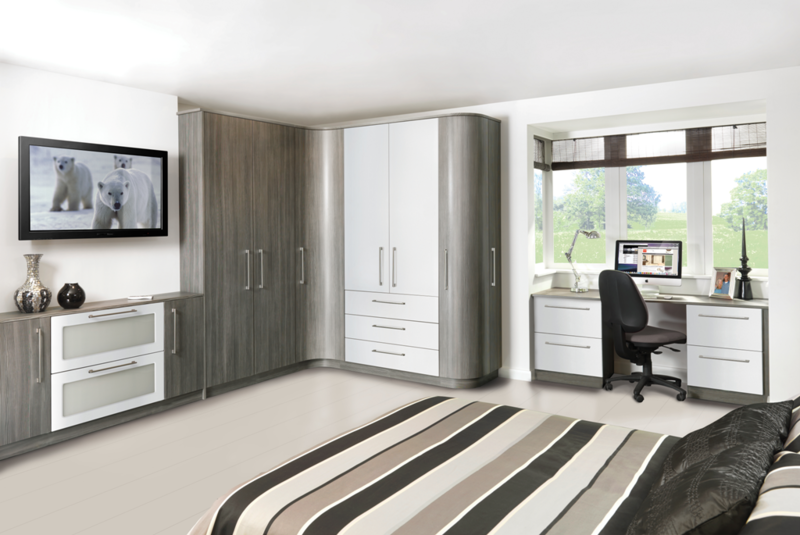 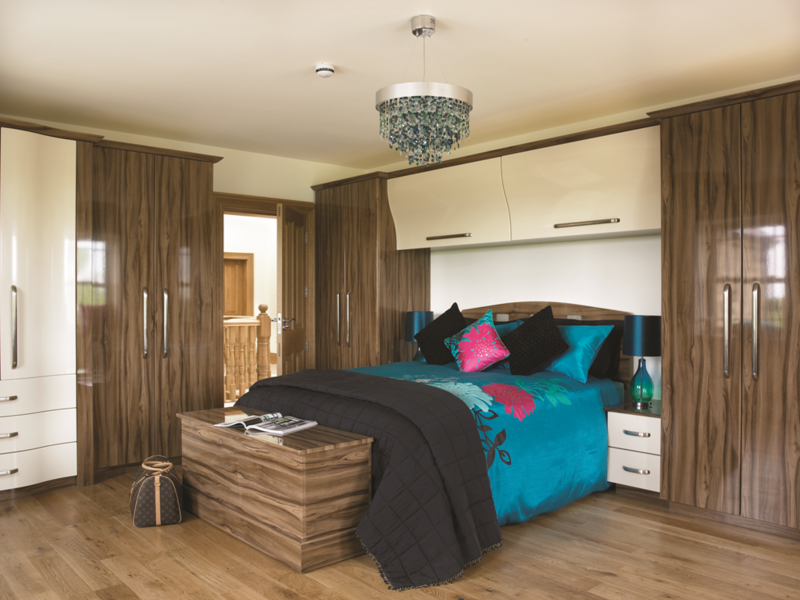 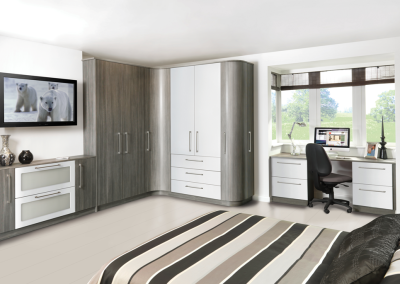 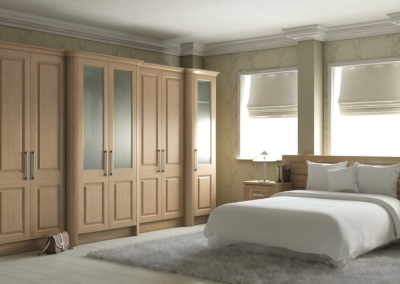 We build and manufacture all our bedroom furniture in our factory warehouse in Kirkintilloch Glasgow, enabling us to build your chosen bedroom furniture to any specification ie. 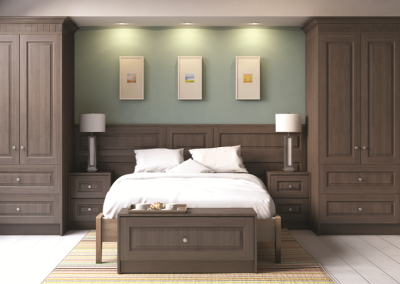 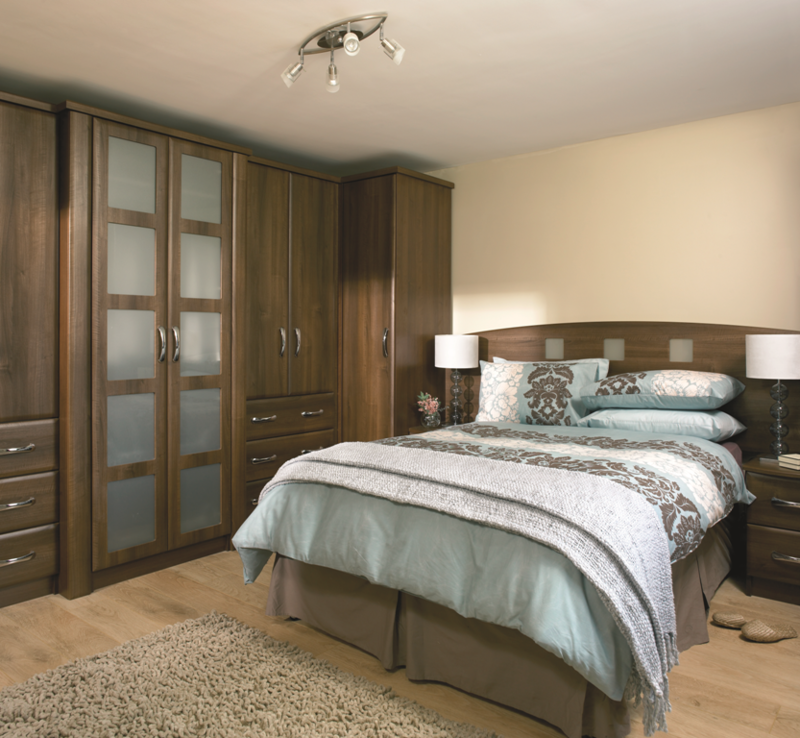 any size, depth, width etc, we also manufacture fitted and freestanding bedroom units. 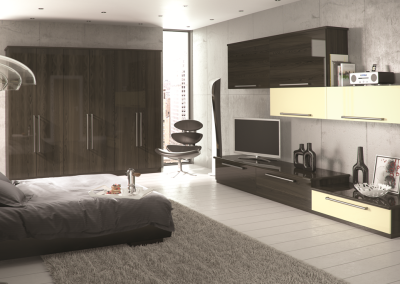 We specialise in fitted bedroom furniture especially loft conversions or angled ceilings. 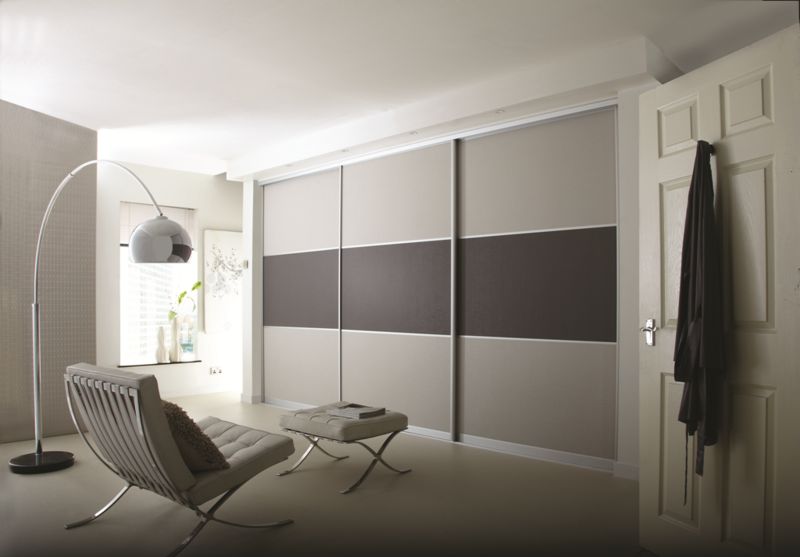 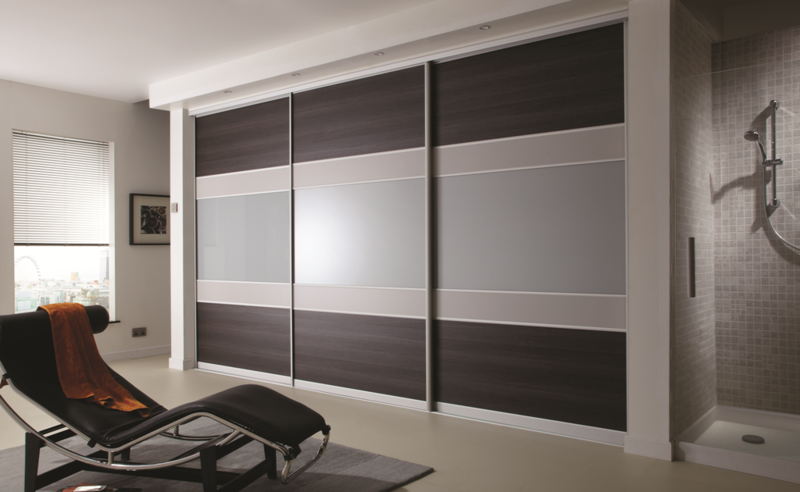 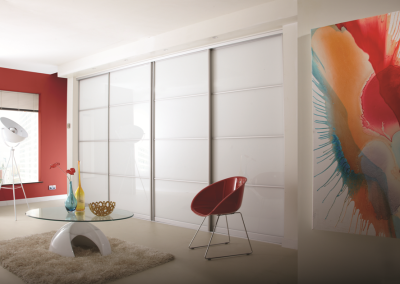 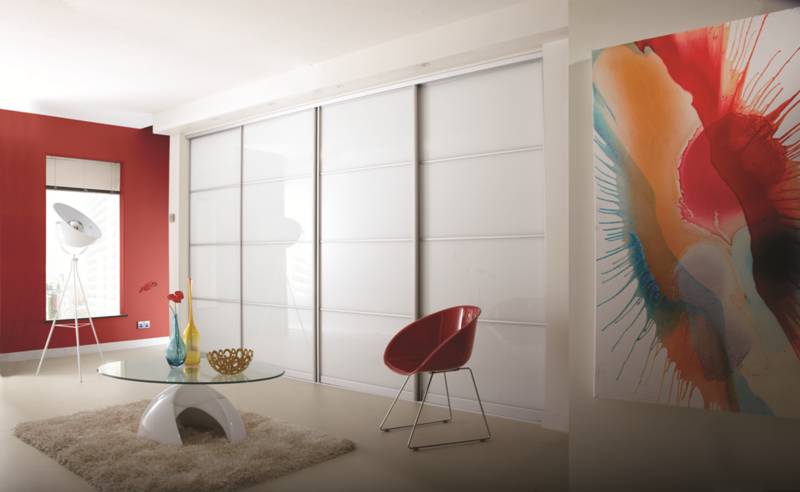 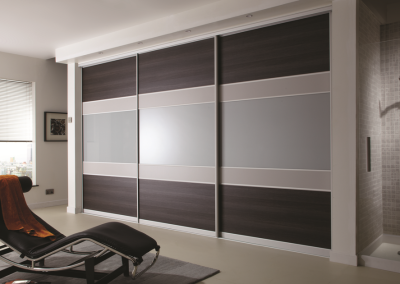 We can build your wardrobes to fit into any space. 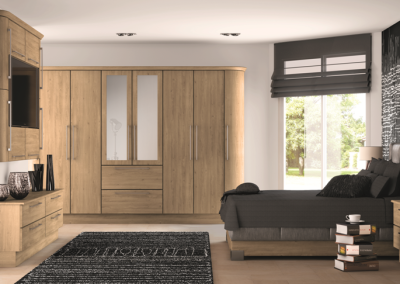 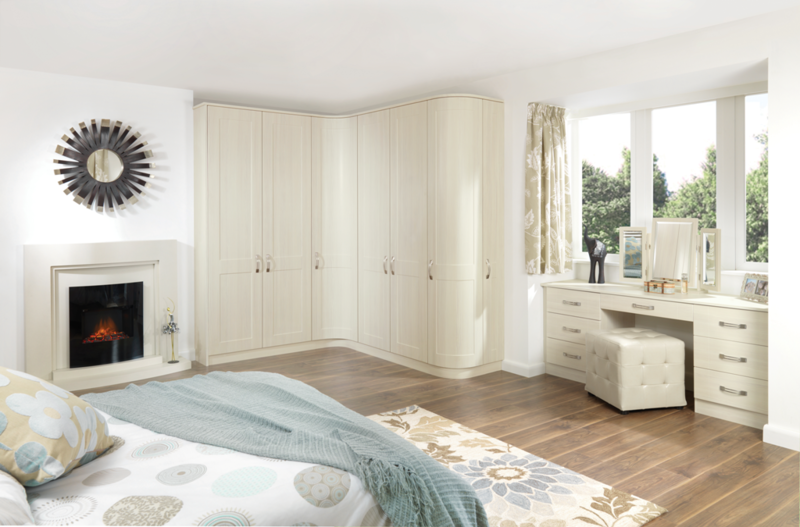 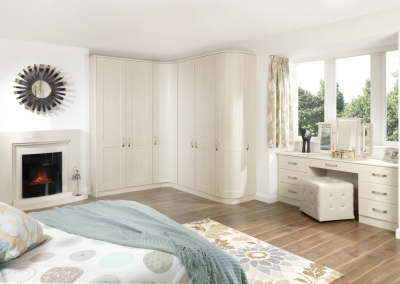 Contact us to find out more about our special offers: FREE soft close doors on all bedrooms and FREE internal mirror, tie rack & shoe rack with selected ranges.